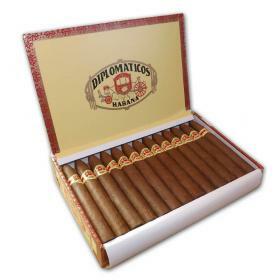 Diplomáticos was the first new brand of Cuban cigars after the Cuban Revolution to be sold to the public (Cohiba was the very first brand created post-Revolution, but was only used for President Fidel Castro's private consumption and as diplomatic gifts, not being sold to the public until 1982). 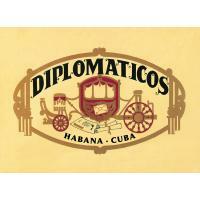 Diplomáticos was initially created in 1966 as a "value" Montecristo, primarily aimed towards the French cigar market. The Diplomáticos line mimics the original Montecristo line in having five numbered sizes, all handmade. The blend used for this line is milder than that used for Montecristo, most likely to cater to the taste of French cigar smokers, and nowadays is usually still a bit cheaper in price than corresponding Montecristo sizes. The original line consisted of five numbered sizes, corresponding to Montecristo. In 1976, the No. 6 and No. 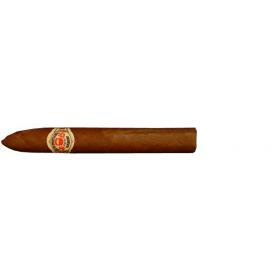 7 were introduced to the line and were the same size as the Montecristo Especial No. 1 and Especial No. 2, but were discontinued a few years later in the mid-1980s.